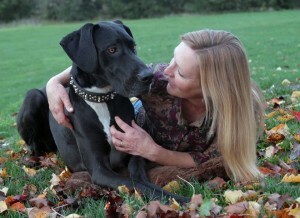 Dogwood’s Mission: To support animals and the people who love them through rescue, rehoming, spay/neuter and education. Dogwood Animal Rescue Project (DARP) was formed in 2015 and became an official nonprofit 501c3 organization in February 2016, by an inspired group of friends and animal advocates. We are striving to meet our goals to assist animals in need every day. To learn more about how you can support our mission or adopt from us, please contact us. Shirley has a challenging and rewarding job as an animal control officer and has fostered over 300 dogs and endless kittens in her 30+ years of doing this work. She thrives being able to bring an injured animal back to health or help a traumatized one recover. She loves to paint and sculpt and also spends time writing down her own experiences for the shelter newsletter, BARK Magazine and is putting the finishing touches on her second book, The Secret Life of Dog Catchers. 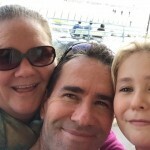 Shirley has been happily married for 27 years and has two wonderful, healthy kids. Hannah is a mother, wife, and ardent advocate for both children and animals. Hannah has worked her entire life advocating for the helpless, from a Program Director of a non profit for disadvantaged youth to saving animals from euthanasia. 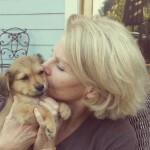 She strives to educate the public about our homeless and abused animals and the importance of spay and neuter. Charlotte Tunstall Pearce is a Sonoma County native and lifelong friend to animals. After starting her own professional pet services business in 2004, Affinity Pet Services, she began volunteering at The Humane Society of Sonoma County and found her ‘heartwork’ by helping animals in need. Charlotte feels honored to be part of a team that wants to make a difference, not only through rescue and adoptions but spay/neuter as well. 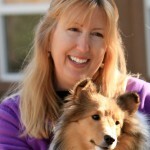 Janet is a native Californian and was born an animal lover and horse-crazy kid! When her 5 year old daughter ended up sharing those genes, she and her husband George, hocked everything for a piece of country property. Now living their dream surrounded by horses, dogs and cats, they began fostering puppies for a rescue. They found that work to be rewarding and fulfilling and watched many a puppy get adopted into loving, forever homes. At this time in her life with an empty nest, Janet is excited to be involved with Dogwood Animal Rescue Project particularly passionate about the future spay and neuter clinic. Believing that spay and neuter should someday be a free service for everyone and hoping for the time that unwanted litters are hard to find! Dogwood is blessed to have a community of volunteers who give their time and energy to support our efforts. We have a team of over 200 volunteers who help with fostering cats and dogs, provide rescue transportation, work on fundraising events, assist with grant-writing and administration, and so much more. If you are interested in learning more about becoming a volunteer we would love to talk to you about the ways in which you may be able to use your skills to help animals in need.